We need all Lloyds and Halifax customers to know how totally disgraceful their behaviour is. When Lloyds and Halifax launched into pet insurance, it obviously seemed a very inviting journey. They could sell pet insurance direct to their enormous client base - half their customers had a pet. Ker-ching! But when the water was choppier than they'd hoped, they just jumped ship. This pet insurance malarkey was obviously a lot trickier than it looked. It wasn't anywhere near as profitable as they'd hoped. Someone had obviously done their sums wrong. Unfortunately, any customers who had made a claim were left totally stranded and no other insurer would touch their pets with a barge pole. Cynics among you will probably be shaking your heads, saying, "This is what happens when you buy cheap pet insurance. They should have bought cover for life..."
But they had bought cover for life! Halifax had produced a very attractive offering. Their direct mail enticed pet owners with, "Lifelong cover for both illness and injury... Designed to offer lifetime protection for your pet, our policy features high annual vet's fees cover topped-up every year... unlike many insurers, Halifax offers lifetime cover for chronic problems. 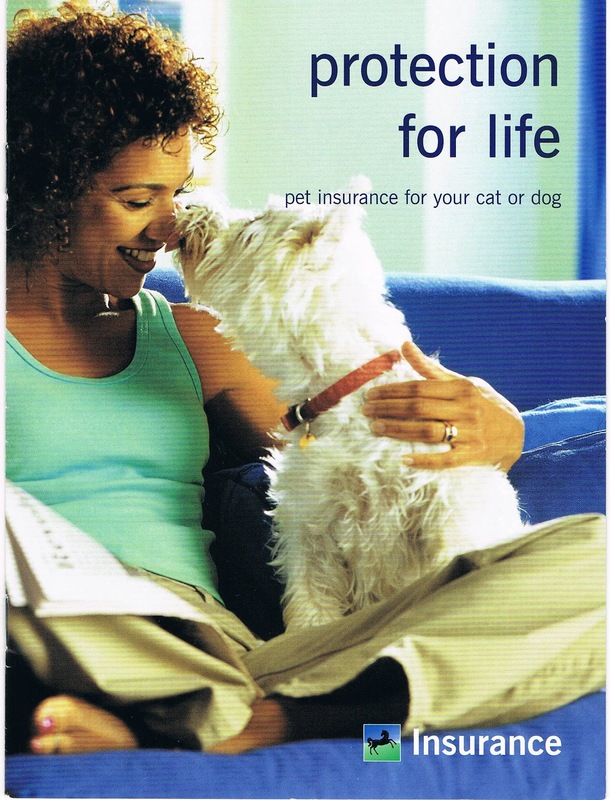 Comprehensive cover designed to last your pet's lifetime." Even seasoned buyers of pet insurance were impressed. Here was high-value cover for life from a high-street brand these customers already trusted to look after their mortgage and savings. Here's a Lloyds pet insurance brochure front cover, hard to misinterpret what's being offered here isn't it! Yet both banks are still hiding behind the defence of there being no mention of cover for life in the policy small print. "What is known as a 'lifetime' policy is a general wording that has been used to describe certain policies. Halifax and Lloyds TSB policies were never referred to as 'lifetime' policies in the terms and conditions." Now, the law of the land says quite clearly that financial institutions should always be "clear, fair and not misleading". Does this sound like that to you? Can they really say one thing in their advertising and quite the opposite in the small print? Yet they've already compensated at least two customers and many more are lined up to take their complaints all the way - but it's just so wrong. Pet owners shouldn't have to fight for justice, these banks have found pet insurance not as profitable as they'd hoped and they've got their fingers badly burned. But why should pets pay for the bank taking risk without doing their homework? 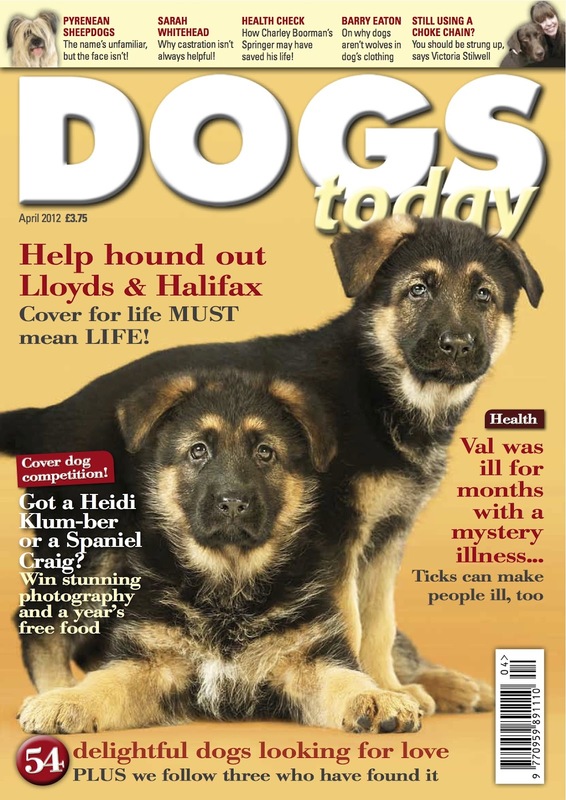 They sold the dream of cover for life and peace of mind and left hundreds possibly thousands with the nightmare of uninsurable dogs and massive regular bills to pay. 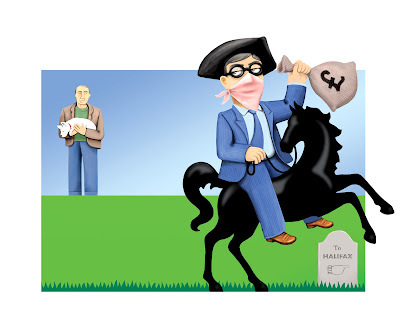 Tell Lloyds and Halifax it is not good enough. Change your photo to our avatar, download some of the posters and distribute them, tweet @AskHalifaxBank and @AskLloydsTSB and tell them to put this right before for a single dog or cat has to be prematurely put to sleep. We must all stand together. 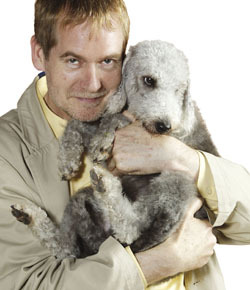 50% of Lloyds and Halifax's traditional customer base will own pets. Let's tell them and see if they want to stay with a bank that treats pets so badly and misleads their customers in this way. Please do share this message! This poster (above) shows the victims we have identified so far - there are hundreds possibly thousands more. Click here to download your own that you can print at home and distribute. When I wrote this there were 700 people who had 'liked' the campaign's facebook page already. Please click 'like' if you haven't already, we need to get this number as high as possible as quickly as possible. The link below will take you there. Please cross post on forums and let them know about this campaign. 10 million dogs and 10 million cats in Britain if all owners stand together we'll get justice and protect the concept of pet insurance for the future. @AskHalifaxBank It's very easy these days to change your bank account and ALL direct debits. Dump our pets, we dump you! ‎@AskLloydsTSB It's very easy these days to change your bank account and ALL direct debits. Dump our pets, we dump you! Do share with us your own favourites! 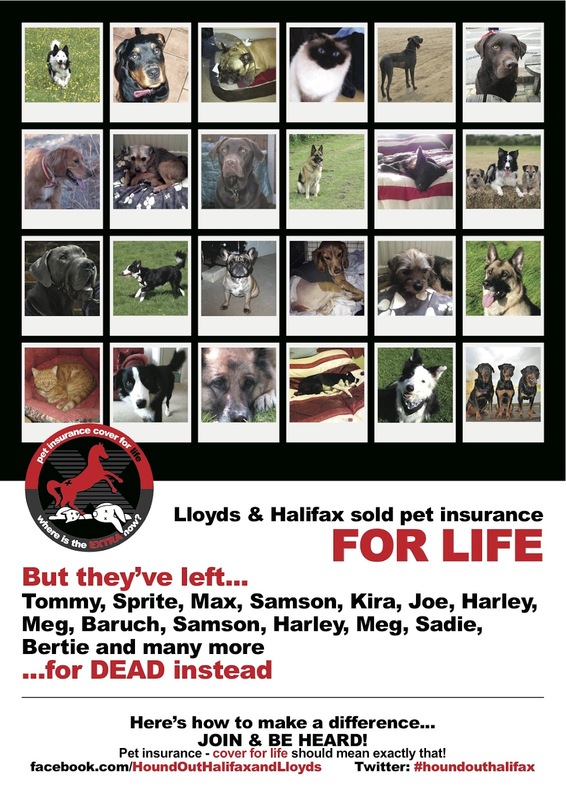 And do check the timelines of @AskLloydsTSB @AskHalifaxBank to see how much grief they are getting from so many pet lovers. Let's show solidarity and all pull together! Can you take the page to 1,000? Let's get the media sitting up and paying attention. This is our lead story next month, we've 5 pages on this story and those affected by it. Here's the April front cover out March 9th in the shops ... Please do subscribe and support us so we can keep defending our best friends whenever and however they need us. Click here to find out how to subscribe. Dear Beverley, What with Halifax Withdrawing from Pet Insurance and leaving people with huge bills to sort out, I don't know if this is of any help to any one, but one of my dogs is on a drug called Destolit, for dissolving Gallstones, she had her Gallbladder removed and is on this medication (along with several other conditions/medications) for life. I obtain a written prescription from my vets at a small charge and take this to my chemist, Vets price for 4 months worth of tabs are approx £300.00 chemist price £159.00. In the past I have also bought tablets for one of my other dogs with a heart condition by the same method. So some medication may be obtainable via prescription from your Veterinary practice for those people who are struggling to pay for theirs dogs meds at the moment, It might be worth asking at your Vets.